A stirring sell-out once again last summer, this spectacular two-hour performance is a fitting tribute to Freddie and one of the greatest rock bands of all time. Acclaimed as the No.1 Queen tribute, no one comes close to matching Gary Mullen and his band The Works when recreating the look, sound and showmanship of this wonderful super group. In recent years the band have regularly toured Europe, the US, South Africa and New Zealand. They've twice rocked the prestigious BBC Proms in the Park’s 40,000 crowd. 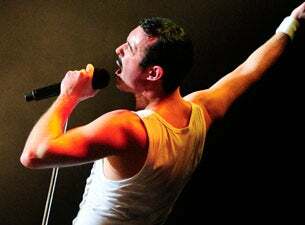 With such an amazing back catalogue to choose from – 18 No.1 albums and 250 million records sold – this is a show packed with monster hits including Don't Stop Me Now, Somebody To Love, Under Pressure, Radio Ga Ga, Another One Bites The Dust, We Are The Champions, Bohemian Rhapsody and many more.